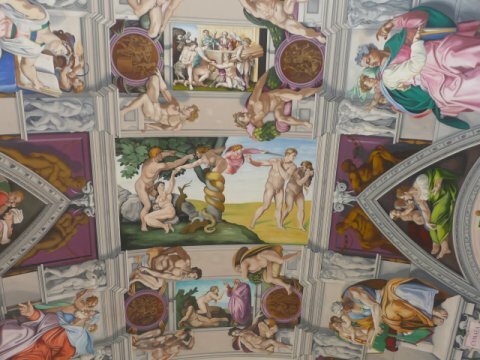 October 16th: Visiting the Sistine chapel: In Worthing! 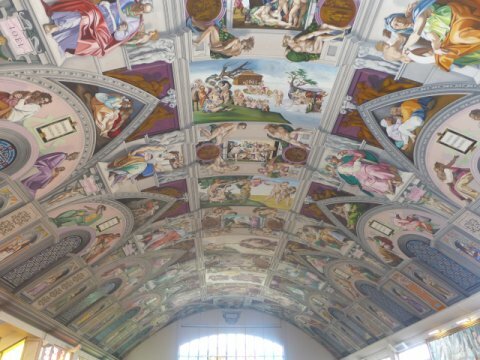 Between 1987 and 1993 Gary Bevans, a decorator and signwriter without any formal art training, painted a two-thirds copy of the Sistine Chapel on the Ceiling of his own Catholic parish church, the English Martyrs church in Goring by Sea, Worthing, East Sussex. It sounds pretty far fetched - but it works! 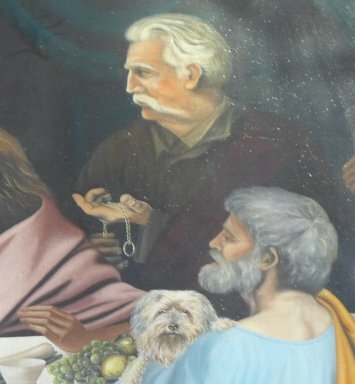 Gary Bevans also painted this wonderfully eccentric version of The Last Supper. One apostle is holding a watch! This figure, we were told, is a portrait of the Deacon who was always telling the priest to hurry up! Look out too for the dog (owned by the priest) and other quirky ideas. 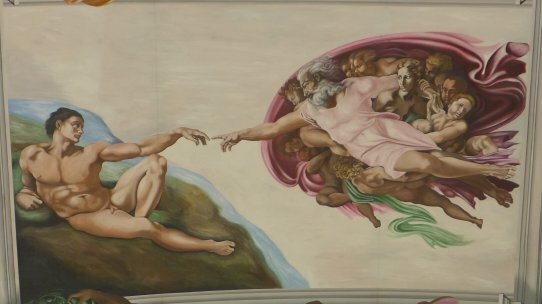 While the Sistine Chapel in Worthing hardly fits my definition of art in context, this painting certainly does.